Quality tensiometers, with high precision enable continuous measurements over many years, very reliable and considered to be the best. Qualitative data collection system, easy to operate and reliable communication system. Unique data transfer, high durability and long-term, energy-efficient technology. 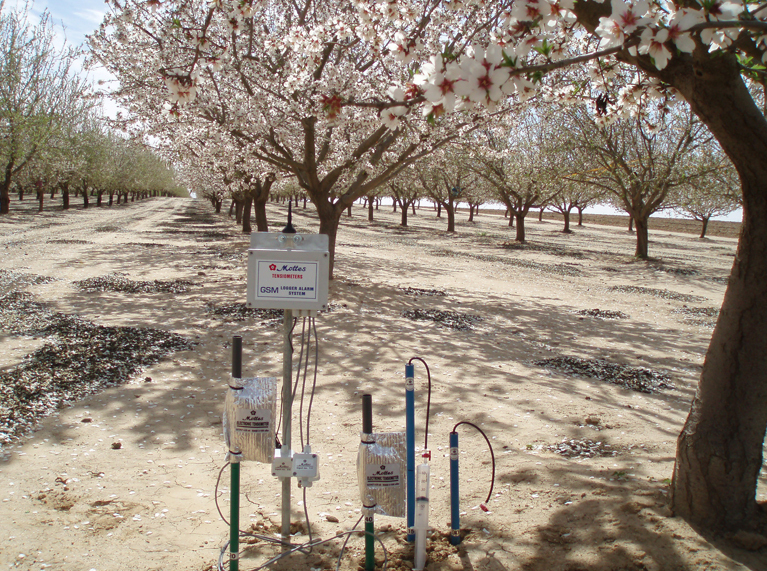 Mottes Tensiometers - manufacturers of high quality Tensiometers since 1978 is proud to present an innovative concept in measuring and monitoring the plant water consumption. 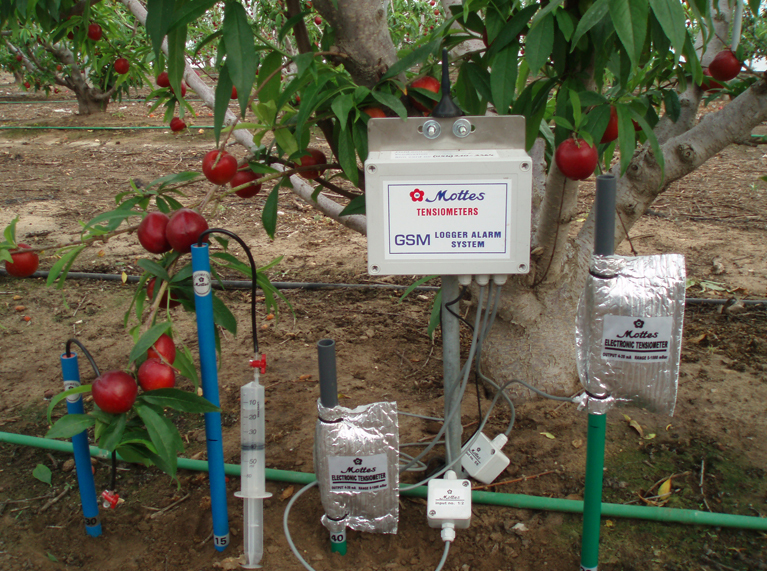 The concept is a solution for remote sensing and monitoring the soil water tension as well as soil and air temperature, to assist the decision maker with an accurate and reliable data wherever he may be. The solution is derived from a combination of accurate measuring technology, reliable data transmittance by cellular and internet networks and a professional prenentation of accumulated data. 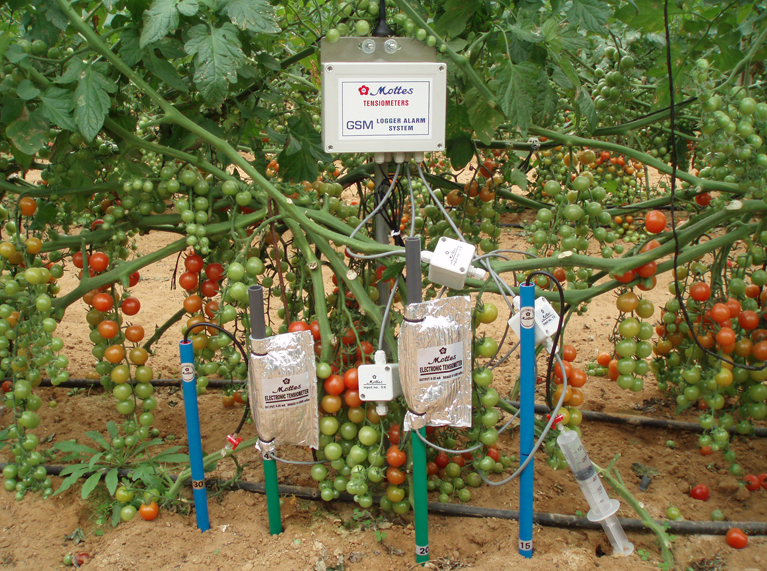 This system solution is available at any internet connection everywhere and both the grower and his consultant can follow-up the data from different sites at the same time. 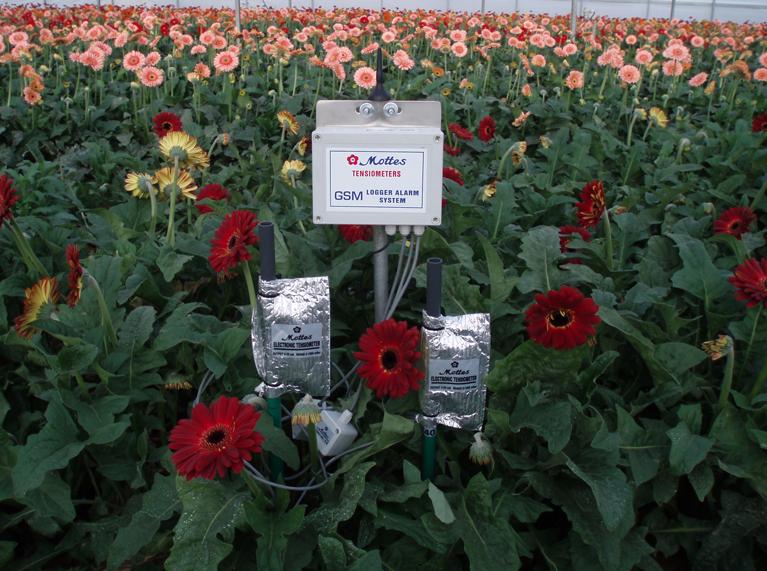 The user can detect the irrigation performance, confer to others, analyze the plants needs and receive recommendations from his consultants.